Vy is using Smore newsletters to spread the word online. Joining Together to Defend the Oceans! Why We Do We Care? You should care about our oceans because most the air that we breathe and consume for granted actually does not all come from trees and plants. Most of the oxygen that we breathe is produced by marine plants. That sounds pretty trivial, yet pretty cool; free air, free life, all is good in the world... Right? Well, not really... This is because we humans are polluting the oceans with our plastics, sewage, dead animals, chemicals, pesticides and fertilizers. What does pollution have to do anything with the oceans? The answer is that because of our pollution, animals and plants alike are accidentally eating and drinking the pollution. If the animals and plants manage to survive the poison, any animal that consumes that poisoned animal becomes poisoned as well. This moves along the food chain until it reaches us, the reigning predators of the food chain. In this smore, we will be talking more about plastic and noise pollution. This is an example of what a small patch of ocean looks like because of us. Is this how we thank the planet that was generous enough to let us live? 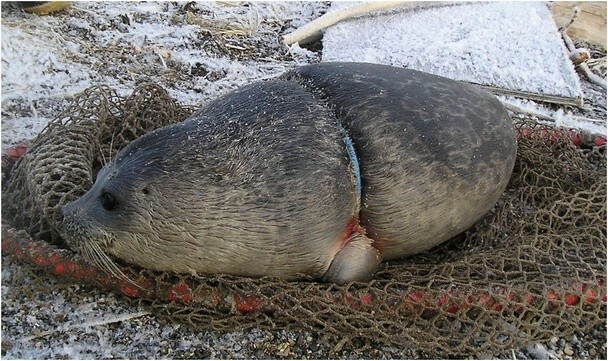 Animals like seals, turtles and other aquatic animals are suffering by our nets and plastics. 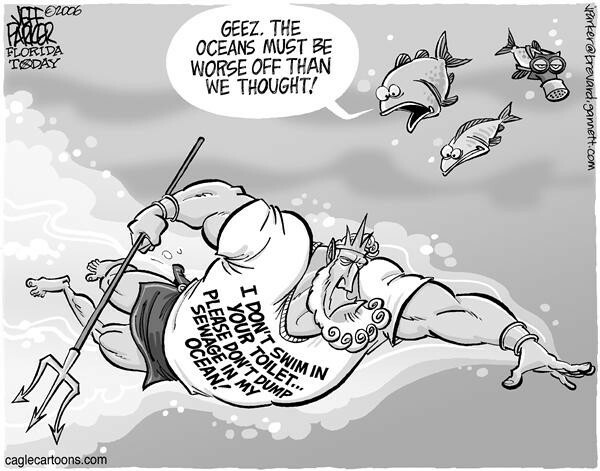 We are dumping our untreated sewage into our oceans. Gross right? No one would want to swim or live in toxic waters. Noise pollution?! There is such thing? Sadly yes, due to our advancements in technology, (Don't get me wrong, because these advancements are saving lives!) we have found a way to harness the power of sonar as well as other sound contraptions. 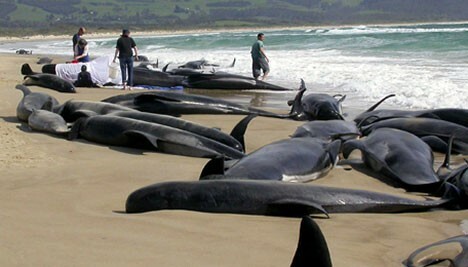 This causes many problems for sonar based animals like whales and dolphins. 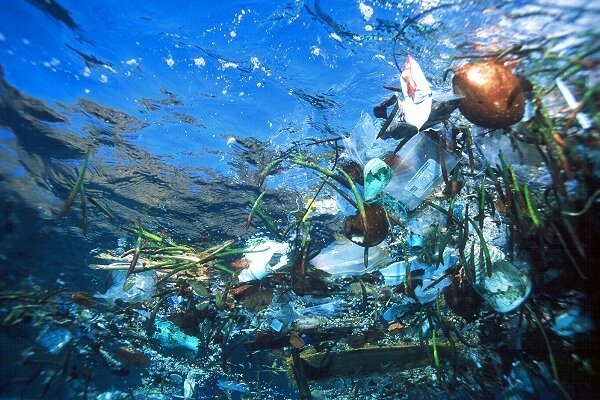 With the our oceans being constantly polluted, what exactly can we do to help out? You can help raise awareness about ocean pollution! We started the pollution, so naturally, it is our job to fix it. Why? Because no other creature on this planet has the ability to except for us. So lets work together to keep our oceans clean and healthy!